The new holiday collection has arrived at Gymboree and it's already on sale! 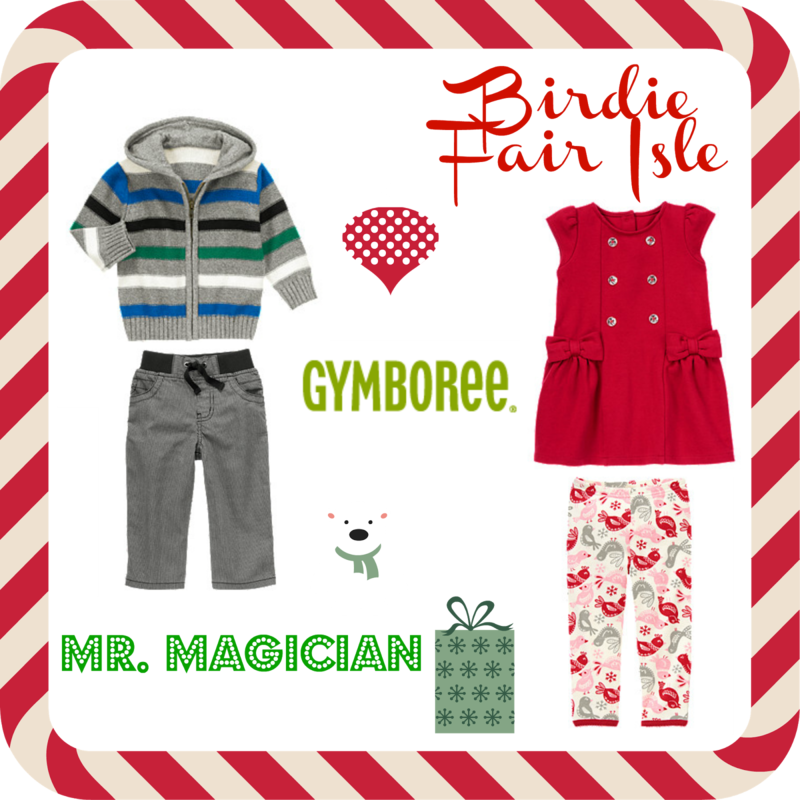 Gymboree has always been a fantastic go to brand for my kids and I am excited to have them in this year's gift guide and received a gift card for review purposes. The quality is always great and the value is even better as there seems to always be sales as well as coupons available. I've just enrolled Mason in Gymboree Music classes and was excited to learn that there was no registration fee since Kenzie attended! We heart Gymboree. For Kenzie, I picked up the following items from the Star of the Show collection: Star Twill Pant, Bow Bunny Sweater Hat and Tulle Ruffle Hem Shirt. Mason is wearing the following pieces from the Loch Ness Heroes collection: Striped Scotty Pup Tee and Fleece Cargo Active Pants. Both kids are comfortable yet stylish for photo ops. No perfect photos in this household. Mason just won't stand still! Check out the other outfits that the kiddos will be rocking this winter season! Gymboree offers new, fresh lines constantly and one can never get enough. Their sales rock and it's times like this that you can score and grab sizes for the future. Make sure to connect with Gymboree on Facebook and Twitter! One Winner will Receive a $75 Gift Card! I'd buy the Winter Textures outfit: Reversible Puffer Jacket, Basketball Tee, Skinny Corduroy Pants, and Marled Sweater Hat. I would get the girls star of the show outfit! The Stripe Dot Sweater Dress is darling! Lol can I say everything? I love the fancy dalmatians collection! I'd get Christmas pj's for the whole family for a new Christmas Eve tradition we are starting this year. I would get Christmas pajamas for my daughter. Visited the site and I really like the London Bear Pullover Sweater and Cuffed Pull-On Jean for my youngest son. I really love the Ziggety Zag Hooded Cardigan - super cute for winter! I would get all three of my boys the fleece active pants in orange they are cute and are a good price. I really like their Boy's Stripe Microfleece Hoodie. I would get the polar bear sweater with jeans and the pink tassel boots for my beautiful daughter! She would love it! I love the Fair Isle Sweater Dress and the Chevron Stripe Sweater Cardigan. Thanks for the chance to win! i would get A To Zebra Cute thank you! I would get my daughter everything I could from the Stylish Corgi line! I love the fancy dalmatians collection! Thanks so much for the fantastic giveaway! I would get the dino hooded robe. I would get the Sweet As Snow Baby Girl Outfit! I love the 'Very Tweet' outfit! I love the baby giraffe newborn outfit! I would get my daughter some fleece terry hoodies and pants. She needs some warm clothes. Thank you! Id get my kids looks from the Fair Isle collection! I LOVE the Faux Fur Coat in Purple for my daughter! I'd get practically the entire bonjour bebe line - so cute! I would get my son some Christmas Pajamas and some new jeans! I would get some fleece jackets and pants. I would get the Bow Tipped Melton coat. the whole outfit from wild style for boys! I would get the Winter Army Canvas Jacket for my son and some jeans. I would get the Loch Ness Monster Scarf and a few cute outfits for my little man. i love the Yeti Playdate outfit for baby boy! I'd get the Sequin Chevron Stripe Ponte Dress! I love the new color block sweater dress they have cute!! 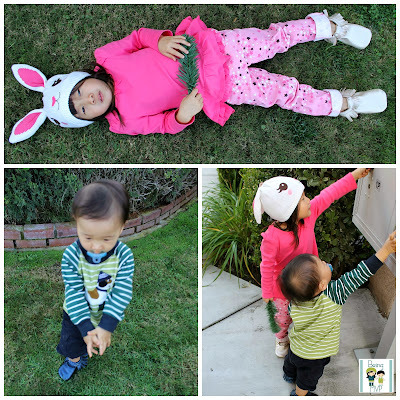 I like the boy's Reversible Puffer Jacket, the boy's Cool Plaid Outfit and the Alien Slippers. Gymboree is one of my favorite places to shop. Thanks for the super giveaway opportunity. Keep up the terrific blogging. I would get the Magic Show outfit for my granddaughter. I'd get the Happy Howl-adays Two-Piece Gymmies for my boy. He'd LOVE these cute pajamas. I like this vest Paint Dots Hooded Puffer Vest! I would get each of my grandsons a pair of Microfleece Lined Jeans and a couple of long sleeved tee shirts for winter. I love the Penguin Fleece! I'd get the Stripe Mock Neck Rugby and/or the Oxford Collar Stripe Hooded Sweater. I'd get the Petals on Purple outfit for my little girl. I love the Tulle Rosette Ponte Dress, it's so cute. I like the dragon hooded tee and the monster scale hat for my son. My niece would love the holiday puppies pjs. I might get the Microfleece lined puffer jacket! I'd like to get the Faux Suede Jacket. I like the Oxford collar stripe hooded sweater. Thanks for the giveaway! I love the Christmas pajamas. I would get the blue Plaid Playtime Outfit. I would get my kids red and gray dressy outfits for Christmas! I would buy the Alphabet Footed One-Piece. I would get the Diamond Wool Blend Toggle Jacket for my daughter. love the falling for feathers floral flounce outfit. I love the Cozy in the Den outfit for boys. I love the Wide Stripe Puffer Vest! So adorable! I would get the Stripe My Day outfit for boys for my grandson. He's cute in stripes. I like the Snowflake Glamour collection. I would get my daughter the Faux Fur Belted Vest, Girlfriends Ski Lift Tee, and the Snowflake Twill Pants. I'd get the Chevron Stripe Sweater Cardigan. I'd get the Musical Fox Pullover.